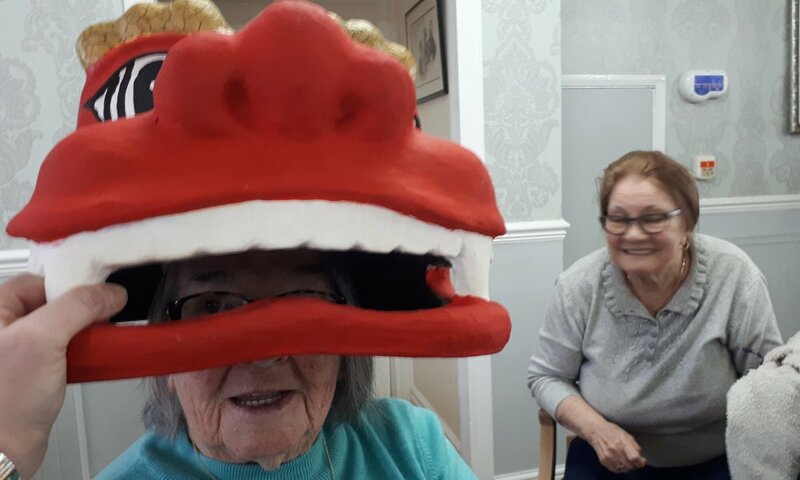 Last week the residents of Springfield Lodge celebrated the Chinese New Year in style. There was music, painting and crafts throughout the day, but the main attraction was having a visit from the local school children of West Rainton Primary School. The children brought along their marvellous creation of a Chinese dragon which was very popular amongst the residents. The children enjoyed singing and dancing with the dragon they had made, a good day was had all round by all.